This diagram uses the excellent, but no longer available, Soladin 600 inverter. We thought we’d include it as an example because it illustrates how easy it is to supplement your electricity with solar. Simply put the Soladin 600 enables you to connect two to three solar panels to it and push the power they generate into you the mains electricity at your house. 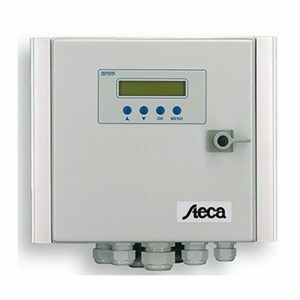 You can of course connect more than three but you must pay attention to the solar panels total output voltage at the lowest recorded temperature for your installation. Solar panel output voltage differs considerably so check it carefully. If you buy a kit from us we will have already done this for you. The output must NOT exceed 149.9 Volts or you will break the inverter. We like this solar inverter it because it brings grid tie solar electricity to everyone at a very affordable price. Here’s a diagram of a simple grid tie set-up. Fuses, breakers etc have been omitted for clarity! Please read the note at the bottom of this page. 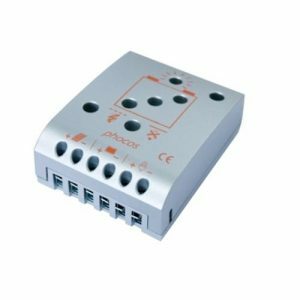 The three solar panels are connected in series so the output voltage is higher. Much the same as putting batteries top to bottom in a torch to increase the voltage to light the bulb. Each solar panel outputs about 32 volts so the three in series give us 96V. 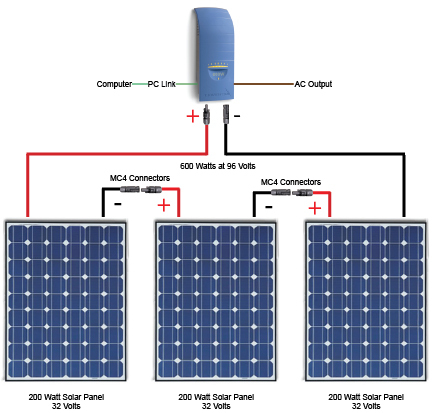 The two cables that run from the panels are connected to the input of the Soladin 600 and the 230V output is plugged into a mains socket. You need to make sure you follow the correct local regulations if you just want to plug it in. We can’t possibly encourage you to do anything but follow the local regs but we are certainly aware that the majority of people do just plug it in. The clever bit of electronics in the Soladin 600 pushes the power into the mains so appliances use the solar panel power first and get the rest from the grid. If the solar panels are generating 600 Watts and you are using 800 Watts in the house then 600 Watts come from the solar and 200 come from the grid. If you are using 400 Watts of power and the solar panels are generating 500 then the excess 100 Watts flows out of your house into the grid for someone else to use it. Most active houses use at least 1000 Watts of power so all of the power generated by the panels and converted by the Soladin 600 is used in the house and not exported. It really is as simple as that. Make hay while the sun shines or the wind blows! 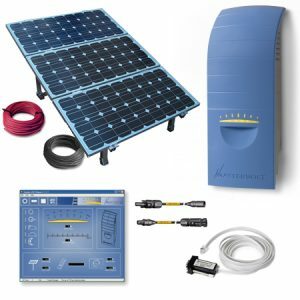 One of the other great features of the Soladin 600 is it has a computer port on it that enables you to change the settings and monitor the performace of your solar power system. To use the port you need a PC Link cable and a free serial port on your computer. Most computers don’t have serial ports these days so you’ll need to buy a USB to Serial converter. Converters aren’t expensive and are readily available. The Soladin 600 was supplied with a two pin plug and we used to get asked all the time if it’s ok to just plug it in. Well you can because it’s physically possible and it will work but you should NOT do this. You should always ask a qualified electrician to install the correct ancillary components so your solar installation conforms to all the necessary regulations.